Today started off foggy, but soon warmed up into a lovely spring day. We were able to take all of the classes outside for activities. The Art 2 and Art 3 classes finalized their basic sculpture plan and then we went outside to see how it might actually look in the front lawn. The old tree stumps were not quite where everyone had remembered them, so the design had to be slightly altered to fit better in the space. The students are still planning a series of spirals – but now they go around the old stumps with one making an infinity-like design around a new tree and a current one on the lawn. They are wanting to relate a cycle of death and life together. 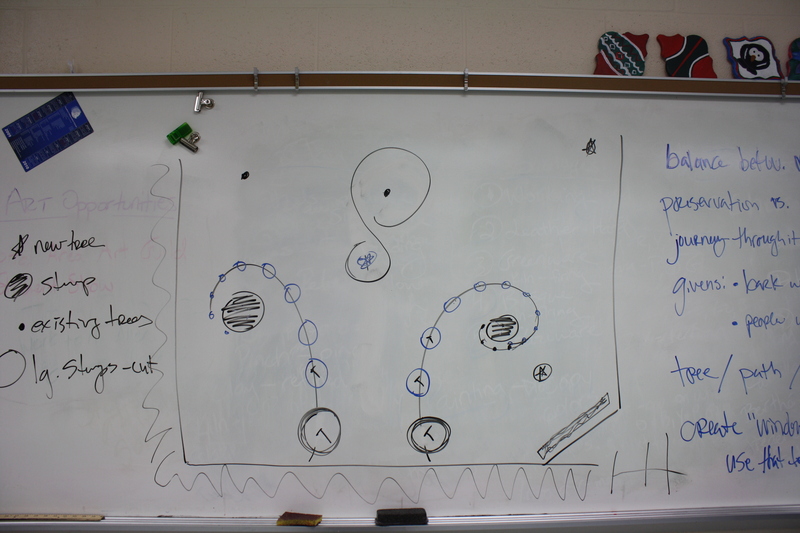 It’s hard to describe all of their ideas – so here is a picture (not to scale) of the re-worked design after it was drawn on the board. 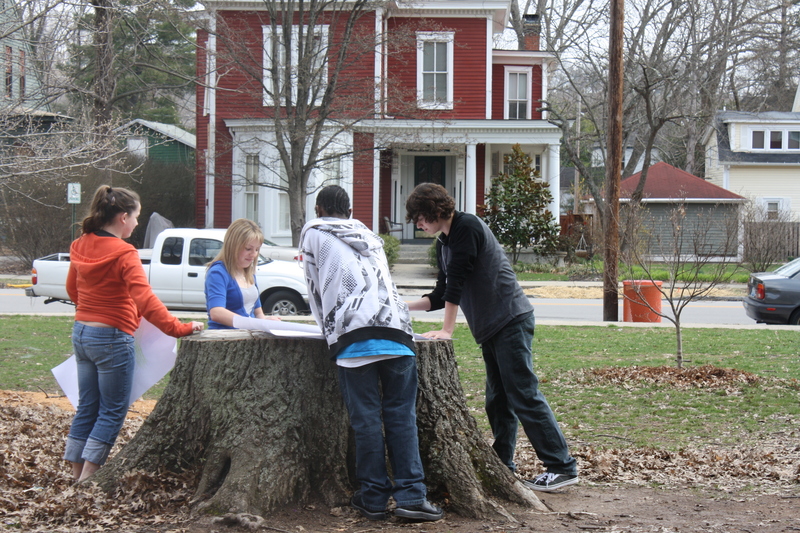 Students discussing their sketch with Melanie on the front lawn. 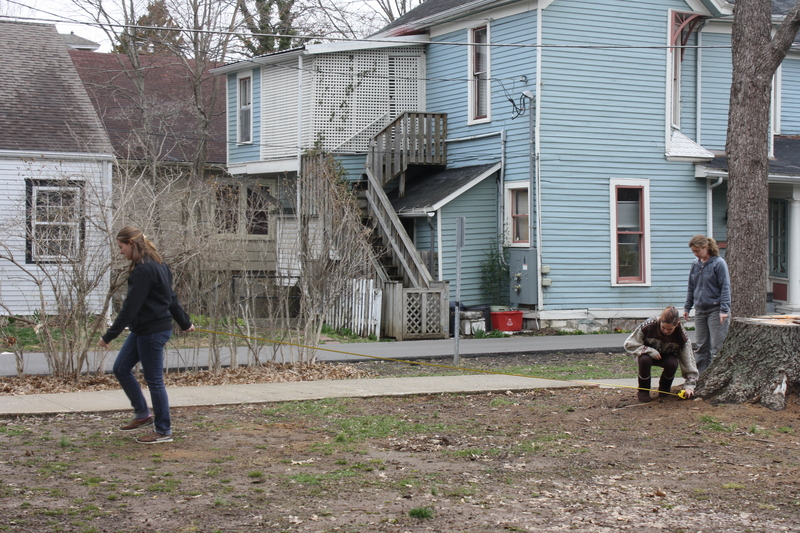 The students also took some time to measure the perimeter of the front lawn as well as the permanent fixtures (trees, stumps, and the bench) so that we can begin making scaled drawings tomorrow. 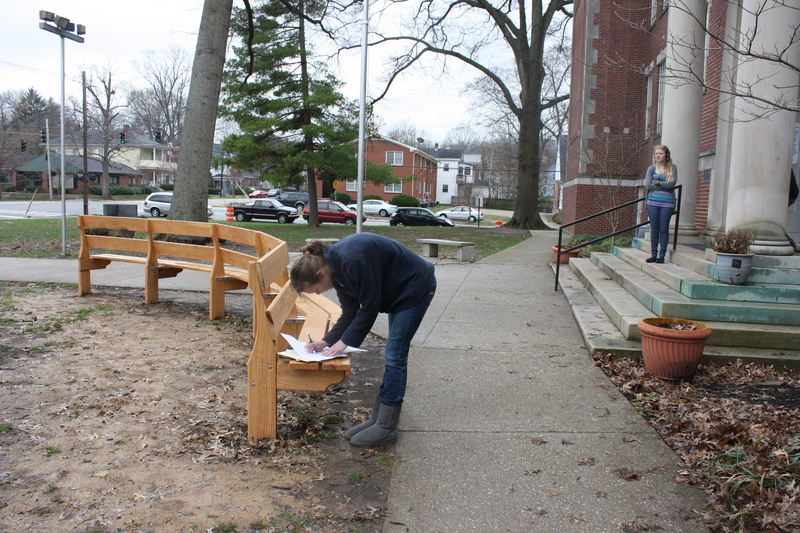 The drawings will inform us about how much wood needs to be brought to the school during spring break, as well as what other materials we may need for anchors and support – such as concrete and gravel. Tomorrow we should have fairly concrete plans for the entire sculpture – which is quite surprising considering there has been two separate classes collaborating over a 3-day period. Writing down all of the measurements. The middle school and art 1 classes continued their discussion about folk art today and related it to the family interview they were asked to complete before the residency. They began to brainstorm different things they could bring in to complete “their story” inside a shoe box – a project that they will complete after spring break. After a discussion and asking some questions about their upcoming project, the students went outside to complete texture rubbings of the school grounds and the trees. They will have the option of including these rubbings as a part of their box sculpture as a way to place themselves at the school the year the oak trees were cut down and to remind them of the Panther family to which they belong. 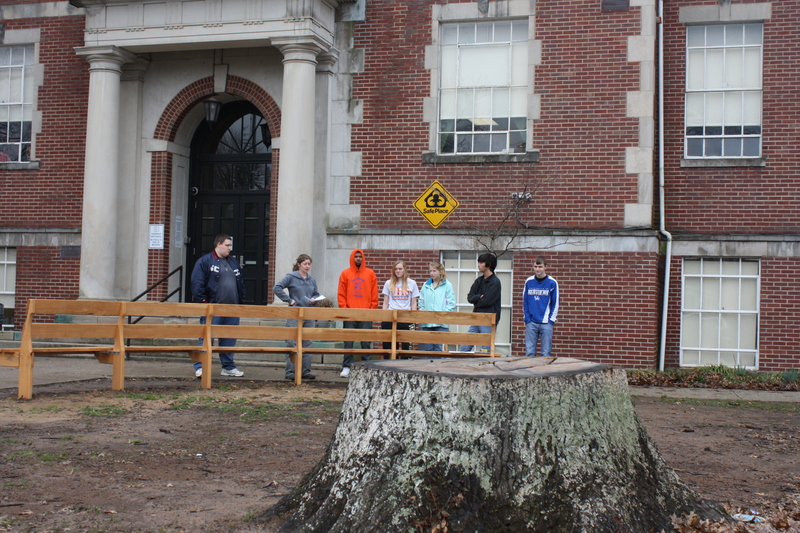 Students making texture rubbings from the stump.